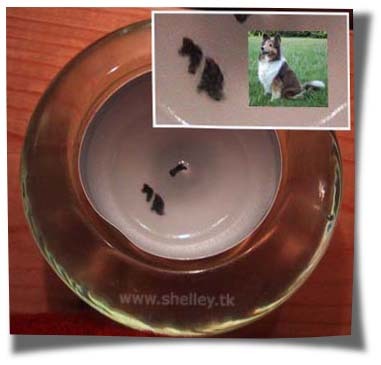 When the American Psychic Char Margolis was on our Dutch television, I lit a candle in front of Shelley's photo. During the show I walked past the candle to get some coffee, when something caught my eye. I just had to look and saw something that looked like Shelley sitting down, complete with white collar!!!! Isn't that amazing? 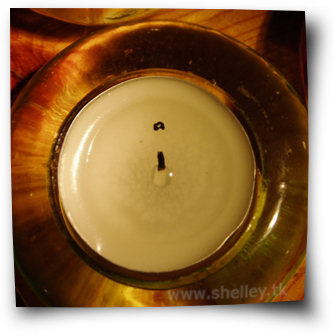 I extinguished the candle and made a photo of it. and as far as I can tell this is an "A". Maybe the "A" of April....? In Kim's wonderful new book Shelley's sweet face is immortalized and you can also read about Shelley's amazing signs and the stories of many other animals! 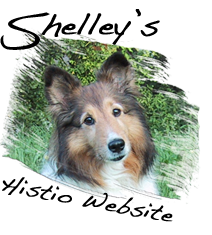 This is a very appropriate sympathy gift for people who are dealing with the loss of a precious pet. The most wonderful gift we can give such a grieving friend is the evidence of an afterlife for animals. and get your own autographed copy!